Jacqueline Nguyen ‘87’s family was one of the last to flee Vietnam after the fall of Saigon in 1975. She worked in the family’s doughnut shop while earning an English degree at Oxy and her UCLA law degree. 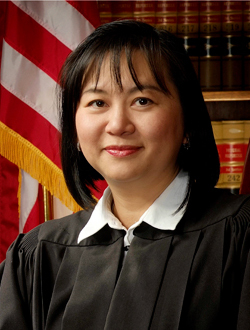 Known as “the Smiling Assassin” as a federal prosecutor, Nguyen became the first Vietnamese-American woman to serve as a Los Angeles County Superior Court judge in 2002, as a federal district court judge in 2009 and as a federal appellate judge in 2012. “Judge Nguyen has been a trailblazer,” President Barack Obama ’83 said in nominating her as an appellate judge in 2012.